Here we are showing you the labelling options there are for our products. 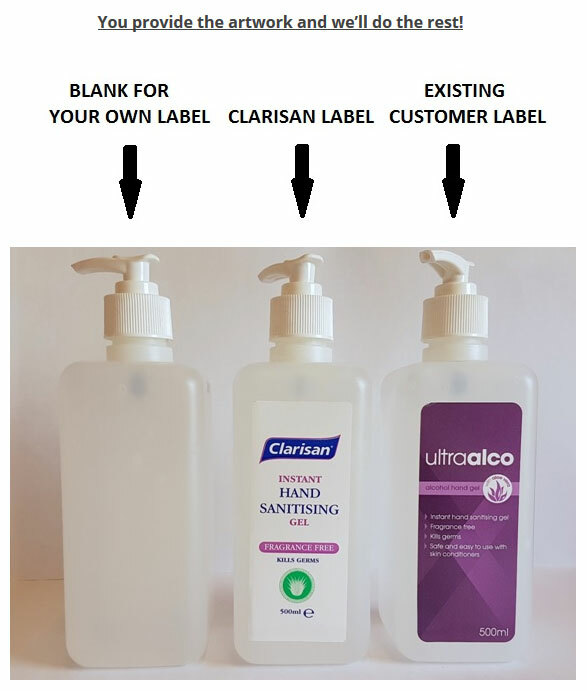 You can have the original Clarisan label or you can choose your own design and brand as illustrated in the customer's label. We can do this on any bottle or pack within the Clarisan range. (Minimum quantities may apply).